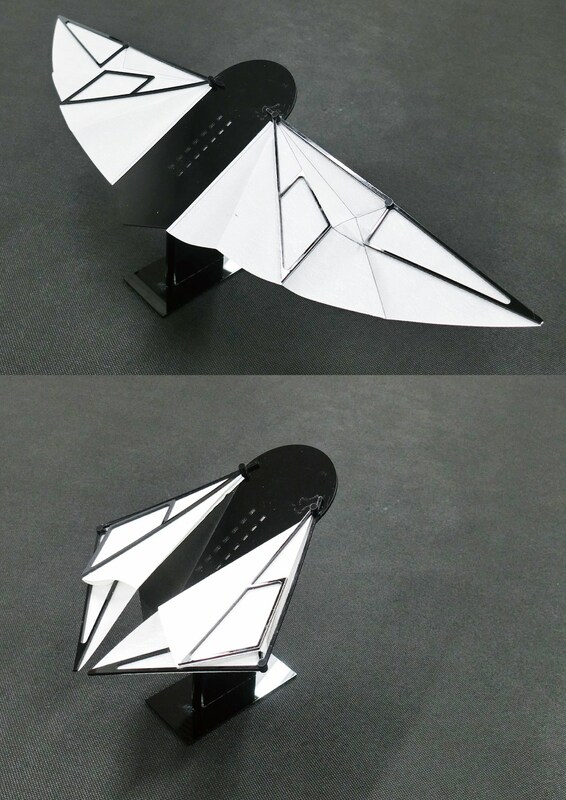 This study focuses on the characteristic wing folding pattern found in many species of beetles from the point of view of origami geometry, and proposed a procedure to design a crease pattern for artificial deployable wings. Foldable hindwings in insects are the ultimate morphing structures and have large potential for engineering applications, because they have sufficient strength and stiffness to tolerate high-frequency wing beating in the flight position, while they can transform instantly depending on the situation. Learning from them provides hints for the innovative design of a wide range of morphing structures, from robots and space-deployable structures to microscopic medical instruments to articles for daily use like umbrellas and fans.